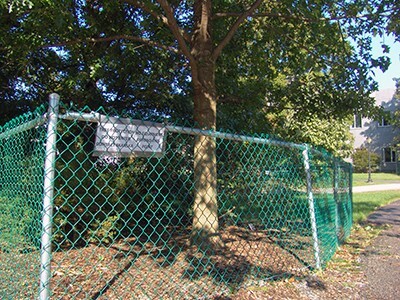 As we undergo large construction projects across campus, visitors will observe chain link fences surrounding trees around the construction sites. These are creating tree protection zones to preserve our mature trees. 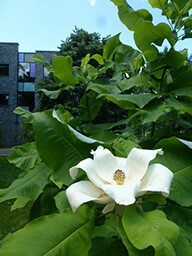 Trees provide natural beauty and give human scale to built landscapes. They filter air, purify water, lower heating/cooling bills, increase property values, improve social interactions, and provide habitat as well as a food for microorganisms, insects, animals, and humans. 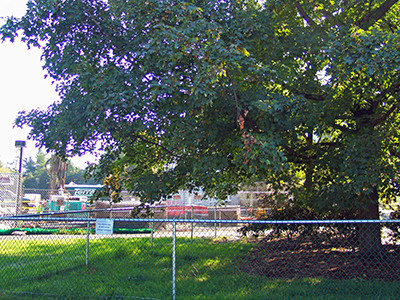 Preserving old trees protects more than green leaves and a spot in the shade. These efforts not only embody the Swarthmore College’s and the Scott Arboretum’s goals of “cultivating plants to sustain the body, enchant the eye, and soothe the spirit,” they also honor the College’s Quaker cultural heritage. 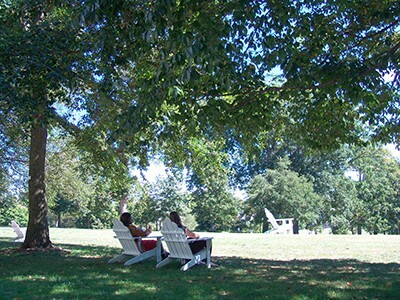 The Quaker founders of Swarthmore College were known for their love of trees. 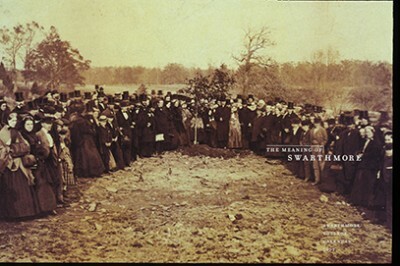 In fact, they planted two oak trees in a ceremony to commemorate the college’s inauguration. Tree Protection Zone is an area where construction and equipment are prohibited. Tree roots are highly susceptible to damage from machinery/vehicular traffic, foot traffic, and from stockpiling materials on the root zone. 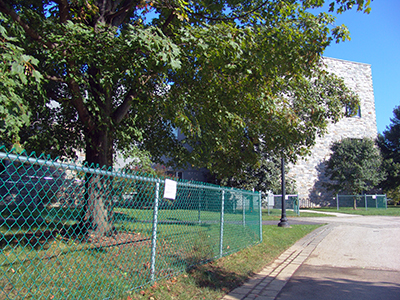 The damage is often not evident until years after construction has ended. 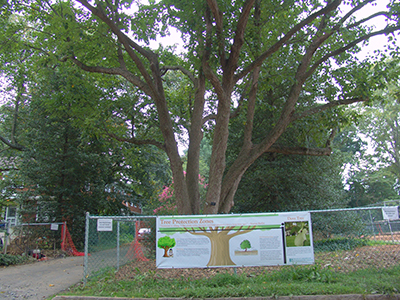 Tree Protection Zones minimally need to extend to the edge of the tree canopy or dripline. While roots grow out two or more times the height of the tree, trees typically cannot survive when more than 25 percent of the dripline area is damaged. These same “zones” can be setup around your mature trees when you undergo construction. Be sure to monitor the protective fencing to prevent people and equipment from violating the perimeter.